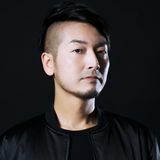 Tomo Hirata, is based in Tokyo and is a skilled and longstanding producer of electronic dance music since 1990. He is well known for his production of the theme song for the famed Japanese horror movie “Ring” which became a hit on the pop charts and is still beloved even 20 years later. After 2 releases supported by many international DJs such as Don Diablo, Dash Berlin, Yves V, Swanky Tunes, Tritonal and VINAI on twoloud’s Playbox label in 2015 together with Bulgarian producer,Yavor Topchiev, they launched new project ‘ENGMNT’ in 2017. It debuted on Hardwell’s Revealed Recordings with ‘Never Gonna Miss It feat. Danyka Nadeau’ and was supported by Gareth Emery, Morgan Page and MAKJ. The followup of ‘Never Gonna Miss It’ was a collaboration with Brevis & Grand Khai called ‘Everyday’ and it’s picked up by Trap City. You can expect many new tracks & surprises from Tomo & Yavor during 2018++.